Free high resolution photo of mountain sunflowers. 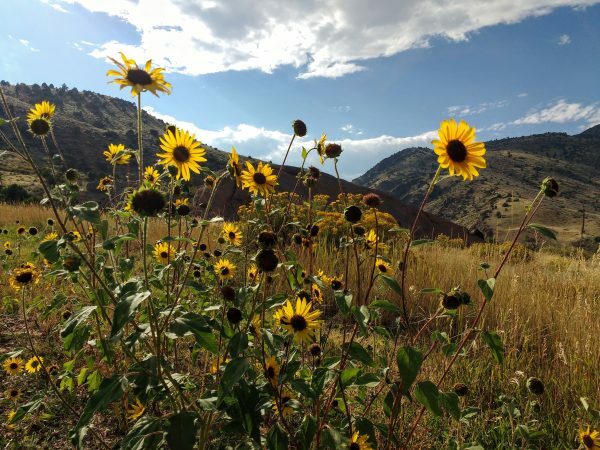 This picture shows a small cluster of wild sunflowers against a mountain scene. You can see the foothills of the Rocky Mountains in the background with a beautiful blue sky above. Photo shot in Morrison, Colorado. Free image for any use.